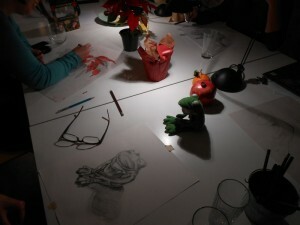 Variety is the spice of still life drawing. 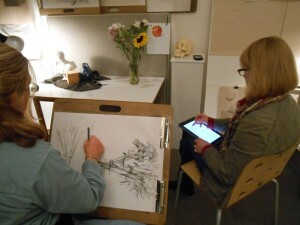 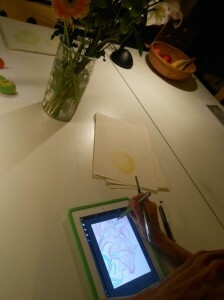 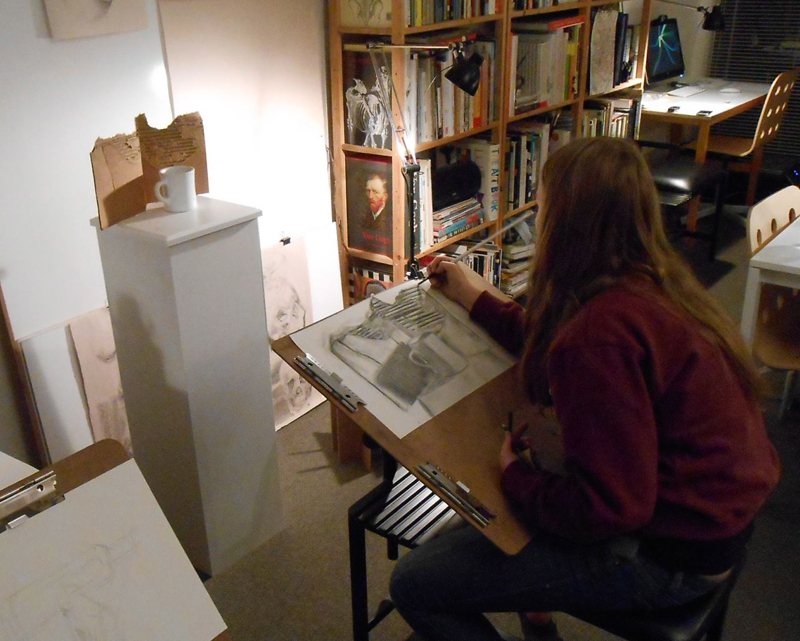 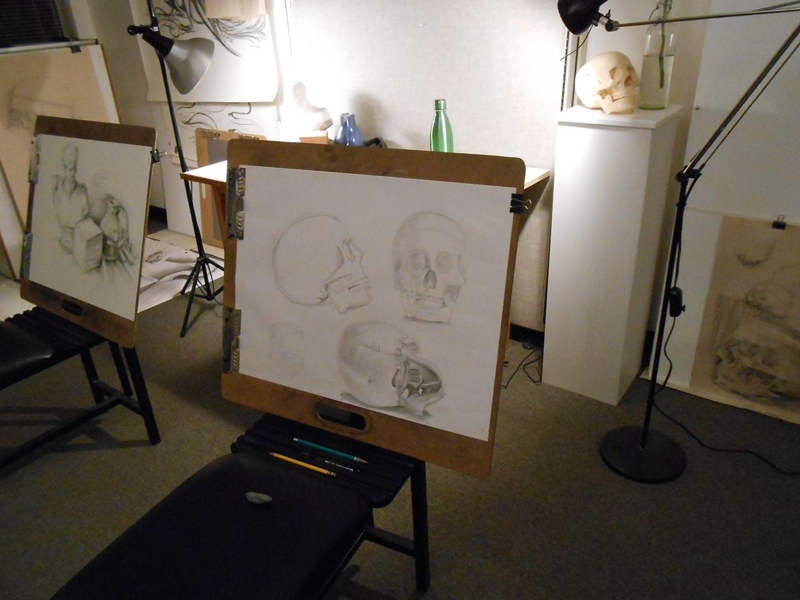 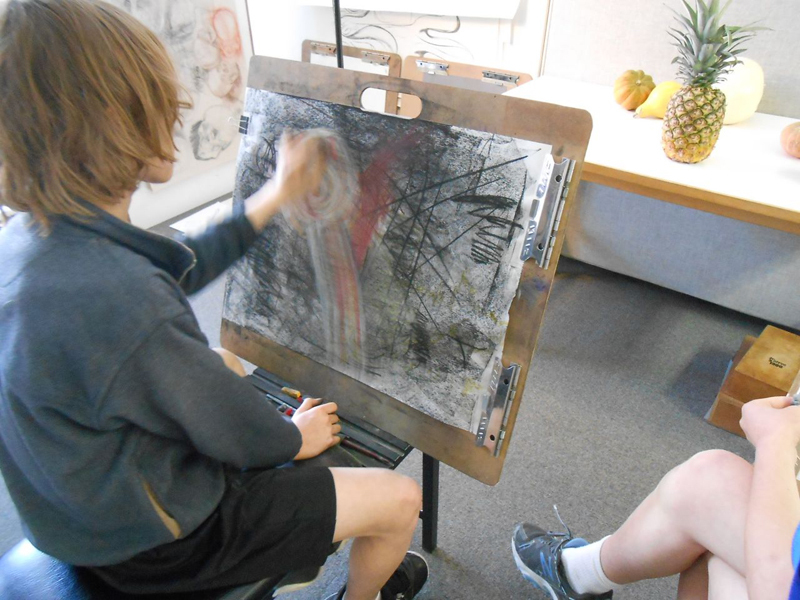 Whether drawing apples, oranges, or skulls, students in the Scribbles Institute Drawing Lab were very engaged this winter. 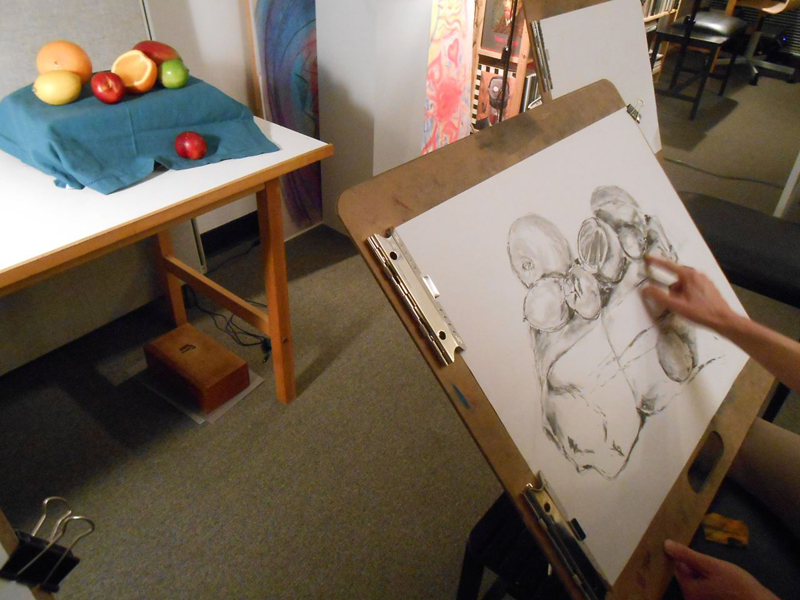 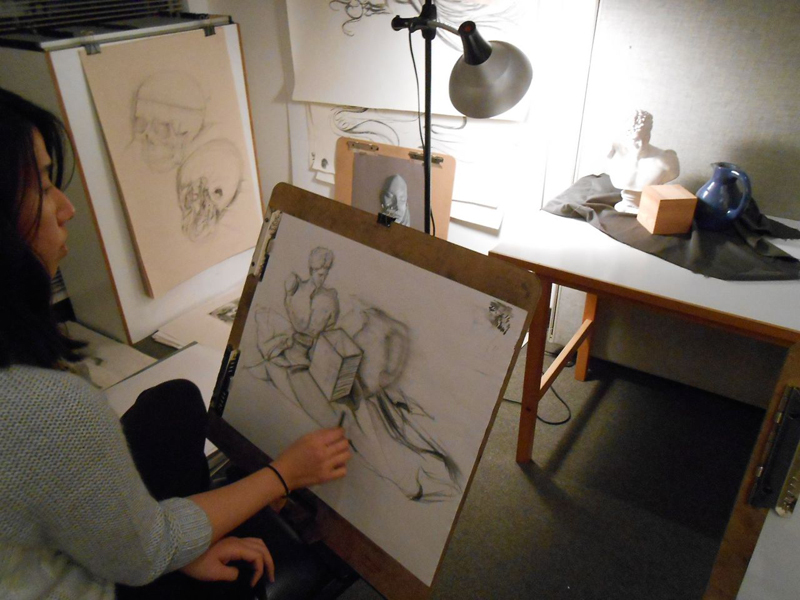 Our in-depth sessions allowed students time to study composition, form, and techniques from a wide variety of objects. The apple shown above is by Jennifer, one of our Level 3 Drawing Lab participants. 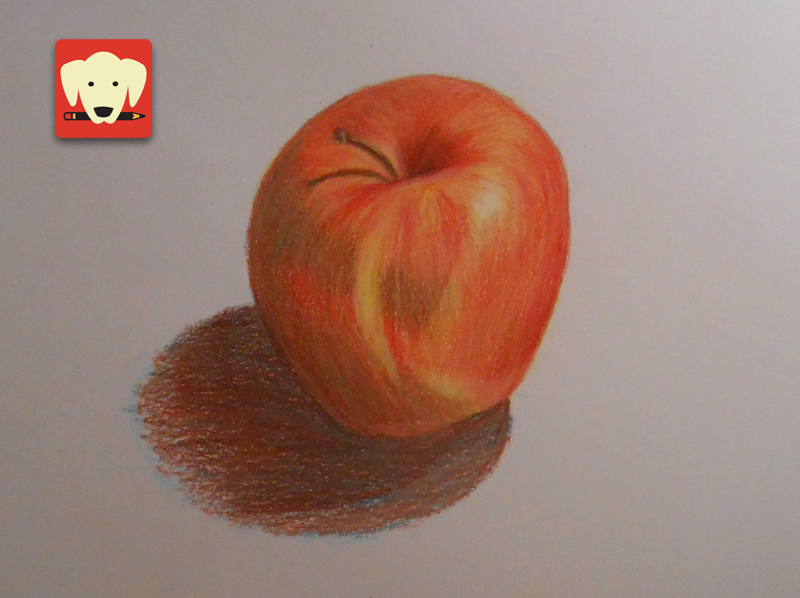 Using only primary colors (red, yellow, blue) she layered and blended Prismacolor pencils to achieve vibrant colors. 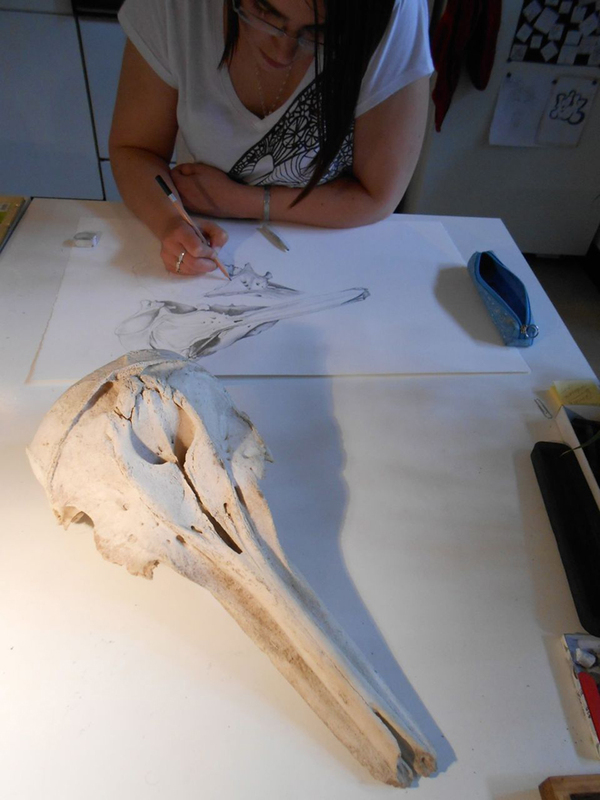 Above left, Jennifer uses graphite to study the form and textures of a dolphin skull. 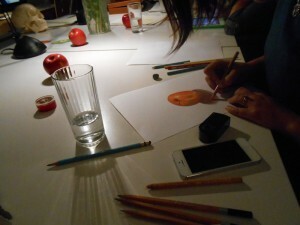 To the right, she uses Prismacolor pencils to draw an apple. Still life composition is an important aspect of our studio sessions. Above left, Tuesday blends tonal values with vine charcoal. To the right, Cheryl, one of our youth sketchers, learns about contours and form while drawing squash and a shell. 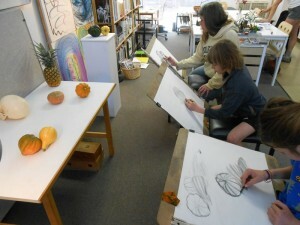 We enjoy mixing up our still life compositions with a variety of objects in the studio. 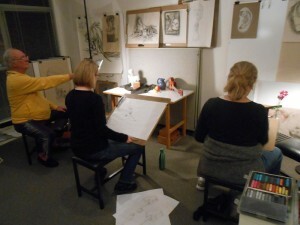 Richard, Judith, and Karla enjoy the challenges of drawing a ukelele, flowers, and a classical arrangement of a plaster bust with vase. In the photo, above left, Anna goes for capturing a likeness of the white mug (always more challenging than it looks) and ripped cardboard. 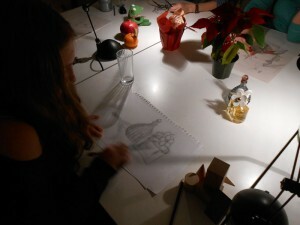 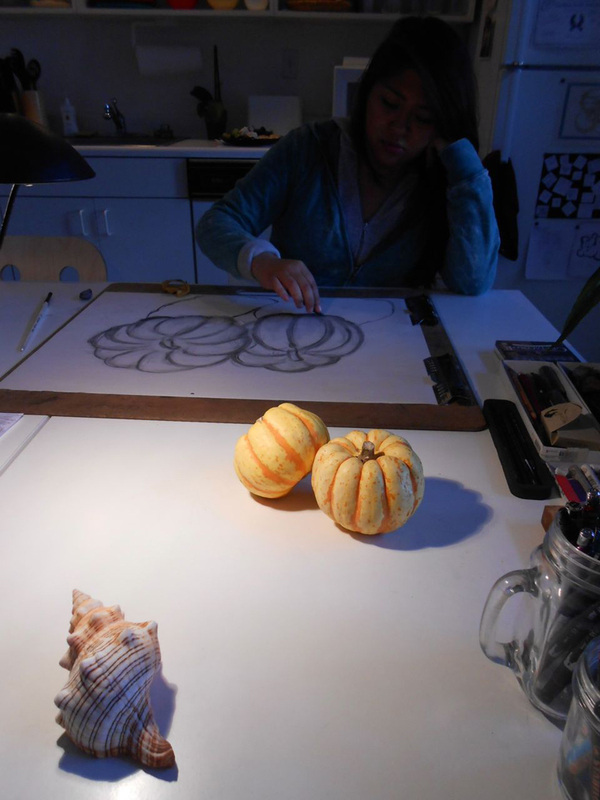 To the right, Gina locks in on an accurate take of a more traditional still life composition. During our ‘Bring Your Own Object’ sessions students bring all sorts of interesting things to draw such as Kermit the Frog and perfume bottles, shown above.